Bruce R Tota, 66, of Belleville, Illinois, born Wednesday, January 16, 1946, in New York, NY, died Wednesday, May 9, 2012 at his residence in Swansea, IL. Bruce worked as a Engineer for Gateway Western Raidroad. He was a member of Towerview Baptist Church Belleville, Illinois. 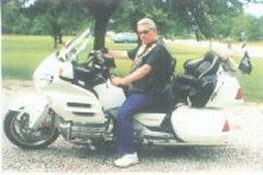 a U.S. Marine Vietnam War Veteran, Assistant Senior Ride Captain of the Patroit Guard for 8 years and member of the American Legion, Troy, IL. He was awarded a Purple Heart. Visitation: Friends may call from 4:00 pm - 8:00 pm Sunday, May 13, 2012 at Kurrus Funeral Home in Belleville, Illinois and from 9:30 am - 10:30 am Monday, May 14, 2012 at Towerview Baptist Church in Belleville, Illinois. Funeral: Funeral services will be held at 10:30 am Monday, May 14, 2012 at Towerview Baptist Church, with Rev. Ron Woods officiating. Interment will follow at Jefferson Barracks National Cemetery, St. Louis, Missouri.